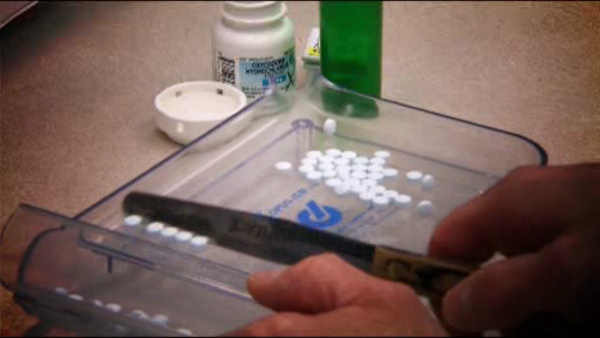 NEW YORK (WABC) -- New York City officials unveiled a new plan Monday to combat the growing opioid epidemic. Mayor Bill de Blasio, the city's First Lady Chirlane McCray, Police Commissioner James O'Neill, and city Health Commissioner Dr. Mary Bassett gathered at Lincoln Hospital in the Bronx, where they announced a new city-wide initiative to fight opioid addiction. The initiative, called HealingNYC, is aimed at preventing opioid overdose deaths, preventing opioid misuse and addiction, protecting New Yorkers through effective drug treatment, and protecting New Yorkers by reducing the supply of dangerous opioids. The city's plan calls for investing $38 million annually with the goal of reducing opioid overdose deaths by 35 percent over the next five years. The CDC estimates 91 Americans die every day from opioid overdoses.